After two decades of examining a microscopic algae-eater that lives in a lake in Norway, scientists on Thursday declared it to be one of the world's oldest living organisms and man's remotest relative. The elusive, single-cell creature evolved about a billion years ago and did not fit in any of the known categories of living organisms -- it was not an animal, plant, parasite, fungus or alga, they said. "We have found an unknown branch of the tree of life that lives in this lake. It is unique!" University of Oslo researcher Kamran Shalchian-Tabrizi said. "So far we know of no other group of organisms that descends from closer to the roots of the tree of life than this species", which has been declared a new category of organism called Collodictyon. Scientists believe the discovery may provide insight into what life looked like on earth hundreds of millions of years ago. Collodictyon lives in the sludge of a small lake called As, 30 kilometres (18 miles) south of Oslo. It has four flagella -- tail-like propellers it uses to move around, and can only be seen with a microscope. It is 30 to 50 micrometers (millions of a metre) long. Like plants, fungi, algae and animals, including humans, Collodictyon are members of the eukaryote family that possess cell nuclei enclosed by membranes, unlike bacteria. 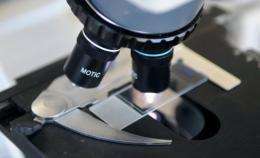 Using the characteristics of Collodictyon, scientists can now infer what prehistoric eukaryotes looked like, said Tabrizi -- probably a single-cell organism with fingerlike structures that it used to catch microscopic prey. "They are not sociable creatures," added co-researcher Dag Klaveness, who bred millions of the tiny organisms for the study. "They flourish best alone. Once they have eaten the food, cannibalism is the order of the day." They have not been found anywhere but in Lake As. "It is quite fascinating that we can still find these kinds of organisms after so many years," Tabrizi told AFP. "It has been outside our living rooms for millions of years and we haven't seen it." Collodictyon was first found in the lake about 20 years ago by University of Oslo scientists who recognised it was unusual but "didn't know how important it was", he added. Amazing what odd little critters are almost literally right under our noses. We share this world with some amazing organisms. If the Collodictyons have cell nuclei, why they're considered more primitive than the bacteria, which don't have it? This sensationalist article lacks the most important point - i.e. the explanation, what makes these creatures so unique? I thought there might be a Jimmy Hoffa joke in there somewhere, until I saw 'single-cell'. I didn't read it that way. I took 'man's remotest relative' to mean just that--the oldest known living eukaryote, not the most primitive organism. People like us, that is. See? Just like us. I guess it's always been a dog-eat-dog world. We have nuclei in our cells in similar way, like the Collodictyons - whereas the bacteria haven't. Why the Collodictyons is called the 'man's remotest relative' after then? It's simple, easy, transparent question. You did not read well. Man developed from the Eukaryote tree of life branch, not bacterial branch. Collodictyons are the earliest sample from the Eukaryote branch. This is why I have little optimism that life on other planets will successfully evolve into higher life form such as us, at least not very often. However, given the unbelievably HUGE number of stars in this universe, I do have tremendous optimism that it could happen perhaps at least a hundred million times. Fixed it. Sloppy journalist. As mentioned above, bacteria are more distant relatives.